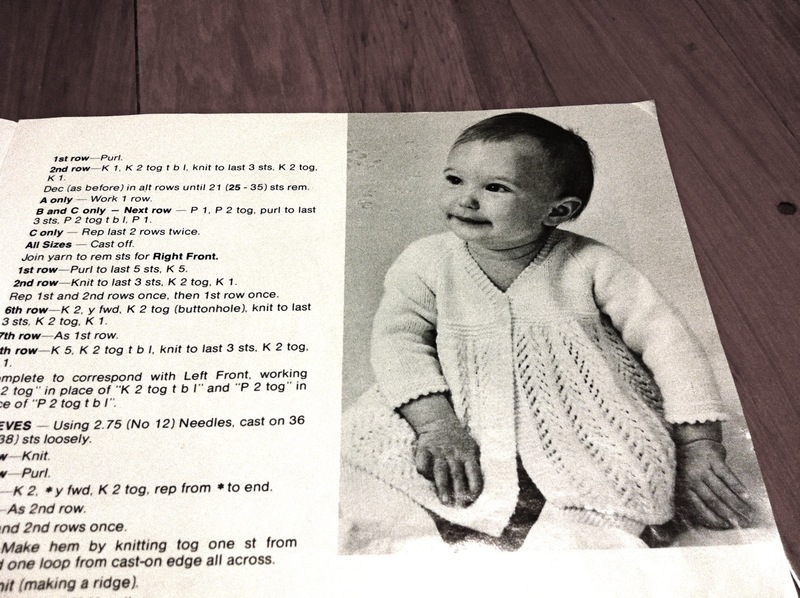 I love knitting for newborn babies. 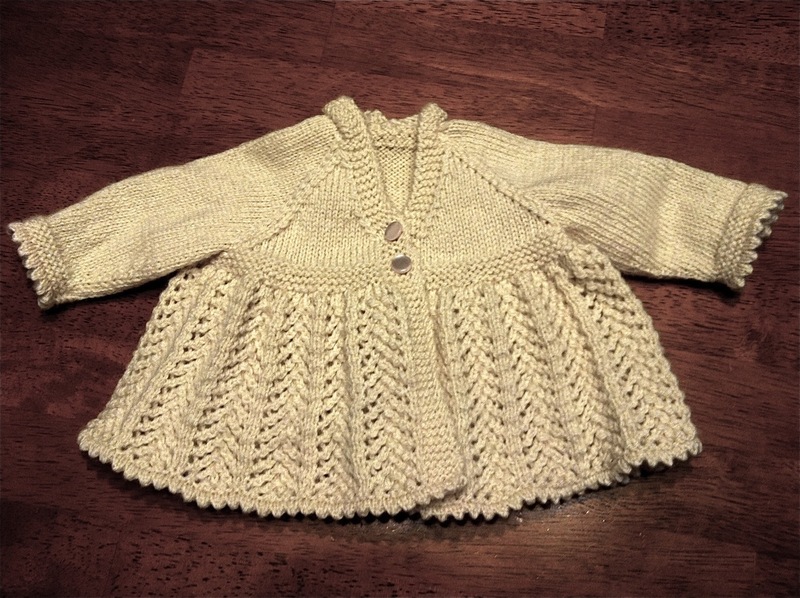 Even full sweaters can be completed in a reasonable amount of time. (For me that's about 2 weeks!) When I found out one of my best friends is expecting her first baby in July I scoured my vintage knitting pattern collection for the perfect thing to make. For babies I like cardigan sweaters or jackets, for the ease of getting them off and on. Since my friend is keeping the gender of her baby a surprise (from herself as well as anyone else) I had to pick something that would work for either a boy or girl. I found this pattern, from a booklet from the 1970s. I thought it would work perfectly with the undyed organic merino yarn I had picked out. And the model even looks like a little boy, right? The yarn did end up working well with the pattern, and the pattern was fantastic. Sometimes vintage patterns are less reliable than newer patterns, and you have to be careful and check that all the numbers add up. This pattern didn't seem to have any mistakes. Unfortunately, I think the finished item is a bit too girly if the baby ends up being a boy. What do you think? Oh Cool! I'm not sure re the gender... it is quite feminine so maybe best suited to a girl but it's so cute, would you worry? Kya, that is such a lovely piece! I suppose anything which has the slightest lace pattern is seen as too girly nowadays? Is it because it looks like a skirt? Does it help if you press it? In the photo of the pattern the cardigan looks longer.